How might the arts help &apos;reset&apos; the direction of the human compass in our difficult times? Is an instrumentalist approach to the arts and culture ever a good thing? Knighted for his services to literature and Poet Laureate from 1999 – 2009, Sir Andrew Motion proposes answers to these questions, with reference to his own education as well as poems by Alice Oswald, Seamus Heaney and William Wordsworth. 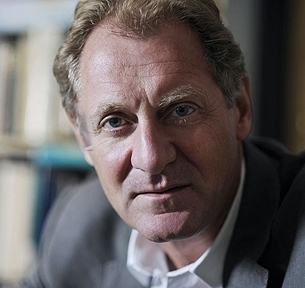 Sir Andrew Motion was Poet Laureate from 1999 until 2009. Born in 1952, he read English at University College, Oxford and subsequently spent two years writing about the poetry of Edward Thomas for an M. Litt. From 1976 to 1980 he taught English at the University of Hull; from 1980 to 1982 he edited the Poetry Review and from 1982 to 1989 he was Editorial Director and Poetry Editor at Chatto & Windus. He is now Professor of Creative Writing at Royal Holloway, University of London. He is a Fellow of the Royal Society of Literature and lives in London. He was knighted for his services to literature in 2009. Speaking in its inaugural year, 1962, the Lord Mayor said of the City of London Festival that it existed to “promote beautiful things”. In this lecture, celebrating fifty years of the Festival, Sir Andrew Motion considers the uses of beautiful things, as well as their value – not always, he argues, the same thing. We are living at a time in which great economic changes have done ‘great damage to many things that we hold dear, and have laid great burdens on the lives of millions.’ However, these same changes ‘also present us with a great opportunity’, the opportunity to ‘reset our compass as human beings’. In this lecture, Motion reflects on ‘the ways in which the arts might themselves set the direction of that compass’. 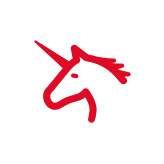 Motion was born in 1952, part of the ‘baby-boomer’ generation that felt itself ‘living on the sharp edge of a paradox’. His upbringing was not particularly or overtly ‘cultural’, and he identifies a disparity between the life he was born into and the life he leads now. So, what happened? He describes the major formative influences on his artistic mind and career. Foremost among these is Peter Way, an A Level English teacher who introduced the young poet to the works of Hardy, Milton, Wordsworth, Clare, Keats, Tennyson, Auden, Larkin and Heaney. How do we Measure the Arts? Nevertheless, this realist imagination can, Motion argues, envision real opportunities for pragmatic change. He demands greater articulation of our country’s cultural values, but bemoans the fact that very often, such demands are simply met with silence from the authorities. Finally, Motion discusses one of his favourite poems: Wordsworth’s ‘She Dwelt among the Untrodden Ways’. He shares an anecdote of a student initially resistant and indifferent to the poem, but for whom it came to acquire profound meaning and significance following a personal tragedy. ‘For my own part, let me say this: the arts, and the humanities associated with them, provide us with the paradoxes that we depend on for the realisation and fulfilment of ourselves as human beings – nothing less. They stretch us, while reminding us of our shortcomings and our fallings short. They give us intense and durable pleasures, while, at the same time, testing and provoking us. They are the means by which we learn to live more deeply as individuals, but they are also the echo chambers in which we begin to understand what it means to live in history. They pay attention to events, but they make their own narrative of those events, and sometimes establish themselves at an interesting distance in order to understand them more deeply. They teach us about ourselves, while they allow us to forget ourselves, and, just as fulfillingly, to identify with others. They affirm the value of oblique truths, as well as the usefulness of direct utterance. They honour familiar life, while transfiguring it, and they give us the clearest possible view of what lies beyond our powers of seeing and of saying. They help us to continue living well because they keep death in view. Are these self-evident truths? I would say so. But this doesn’t mean we are excused from cherishing and broadcasting them. In fact, at times like these, we need to do so more urgently than ever. The true wealth of ourselves, and of our society, depends on it.